 We at Magic Pitara,nurture and groom children towards an independent, creative and confident adulthood. We also promote learning through fun and games. Our teaching methodology not only fosters the intelligence of a child but also help in developing them into well rounded personalities.  Magic Pitara provides a healthy environment for children to grow and discover their true potential. In the journey of discovering themselves, learning shall happen naturally. The Magic Pitara’s mission is to nurture and develop children into independent, confident individual who display high emotional and intelligence quotient. At Magic Pitara, we believe that every child has a right to quality education. It is our goal to nurture children to be leaders of tomorrow. 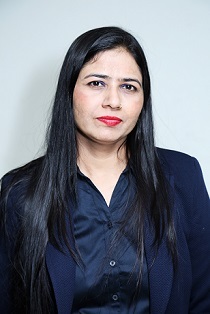 Keeping in mind that maximum brain development takes place during the first few years of life, we nurture it in ways that ensure holistic development which has lead us to mount from silver to gold in academics as well as other extra curricular activities. Our programs consist of well defined activities that stimulate the mind of a child to comprehend and assimilate knowledge. Class lessons and observations are dynamic in nature and are developed on a daily basis. After observing the kids and their behaviour, customised lesson plans are constructed to suit their learning style. A series of fun filled activities are developed to nurture and harness every child’s talent. Shiksha Educational & Cultural Trust , established in the year 2012, has completed 4 glorious years of providing optimum education and encouraging extra-curricular activities in the students to make them the future head-honchos. 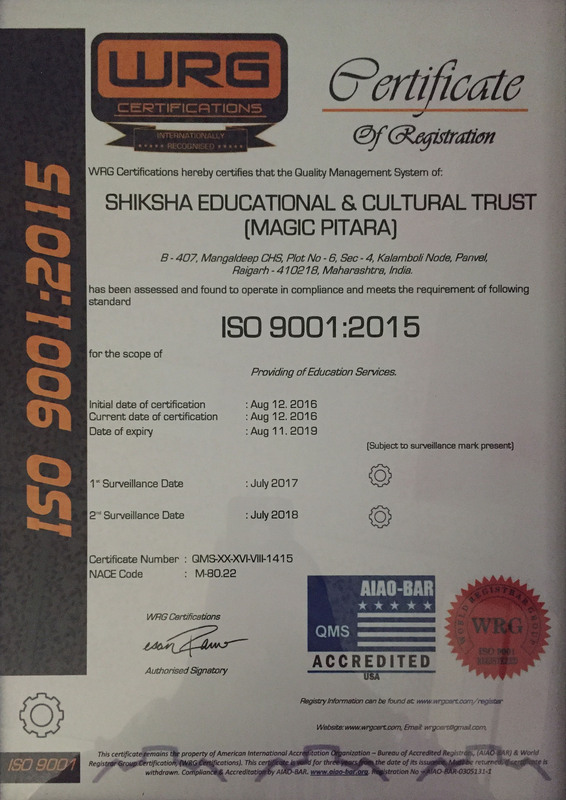 Shiksha Educational & Cultural Trust (Magic Pitara) is an ISO 9001:2015 certified firm and also accredited by AIAO-BAR certificate of USA. 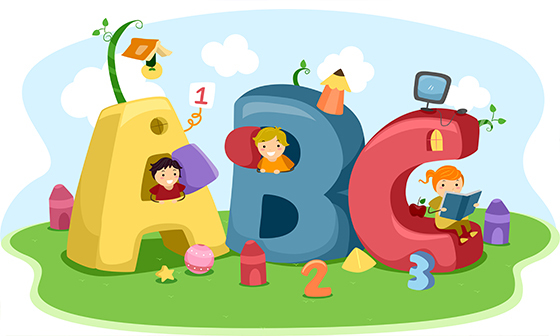 The choice for your kid’s preschool is important and plays an crucial role in nurturing his/her growing years, right from learning the basics to the extra-curricular activities. I strongly believe that every kid can learn, implement and grow in his/her own way. It needs the right guidance and a good environment. Our motive is to help your child bring out the “pitara of magic”. Your child is as special to us as he/she is to you. Time to create the magic in the child and see him soaring high. Every child is special. One of the best gift a parent can give to a child is good education and an exposure to the external world to learn. We lend a helping hand to take the baby step ahead. Creativity in a child needs a little support and we find immense pleasure in being the first step. Physical and mental activities are equally important in the growth of an individual. Our goal is to provide as many activities as possible. All these years, we strived hard to build a large pool of activities for the individuals to choose from. Magic Pitara © 2018 / All Rights Reserved.